Today is Monday, January 30, the 30th day of 2017 in the Gregorian calendar, with 335 days remaining. 1,451 days until the end of Donald Trump's term as President, assuming he isn't impeached. 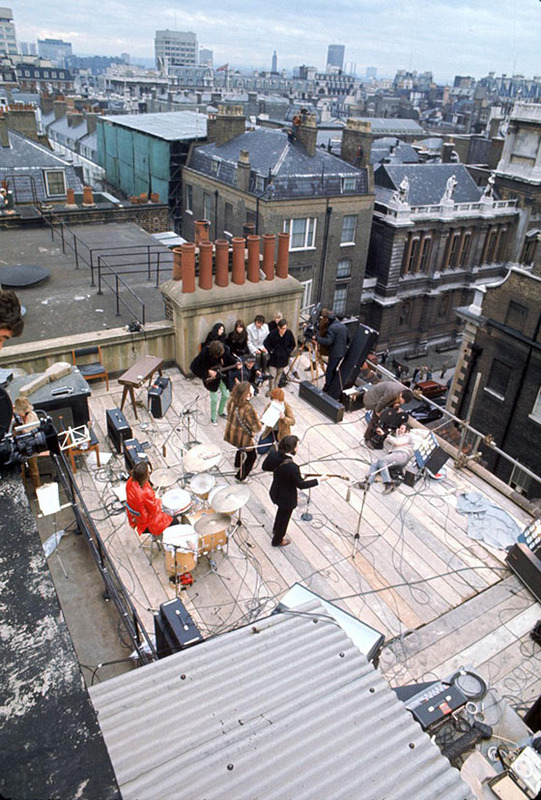 On this date in 1969, the Beatles performed in public for the last time in a 45-minute gig on the roof of their Apple Records headquarters in London. Among other things, today is also Bubble Wrap Appreciation Day. Click here for virtual bubble wrap! Underwear-clad Florida man runs through hotel pulling fire alarm. As of this writing, The KGB Quotations Database contains at least 45,600 entries. Check it out. Barbara Tuchman (1912-1989), American historian and author. "Strong prejudices in an ill-formed mind are hazardous to government, and when combined with a position of power even more so." Watch planets orbit a star 129 light-years away. For your OCD friends... Kyocera has a smartphone that can be washed with soap and water. In 2016, the most UFO sightings, over 150, were in Illinois. And they're apparently hanging around this year. The last sighting was January 18 in Chicago. Credit Fight Club author Chuck Palahniuk for the use of "snowflake" as an insult. The former KGB general who helped a former MI6 spy compile the Donald Trump "dirty dossier" was found dead in the back of his car in Russia. Pure coincidence, undoubtedly. On the internet, you can find all kinds of fix-it sites. And then there's this one. Yeah, those kids in the 90s were really kind of dicks. Who's to blame for the backlash over Trump's anti-Muslim immigration policy? Why Obama, of course. We're still limping along with software problems, but at least we're up and running.